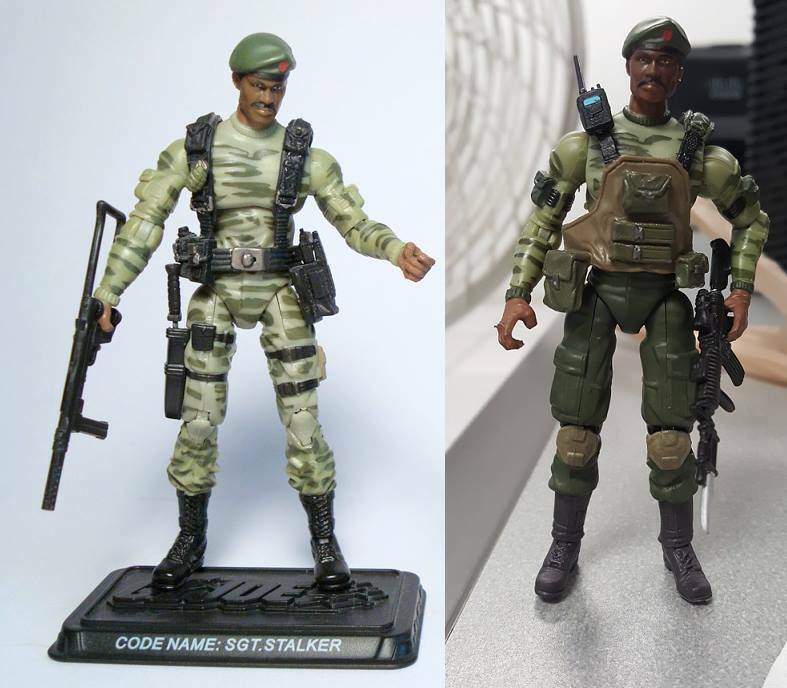 Figures Snake Eyes, Stalker, and others. 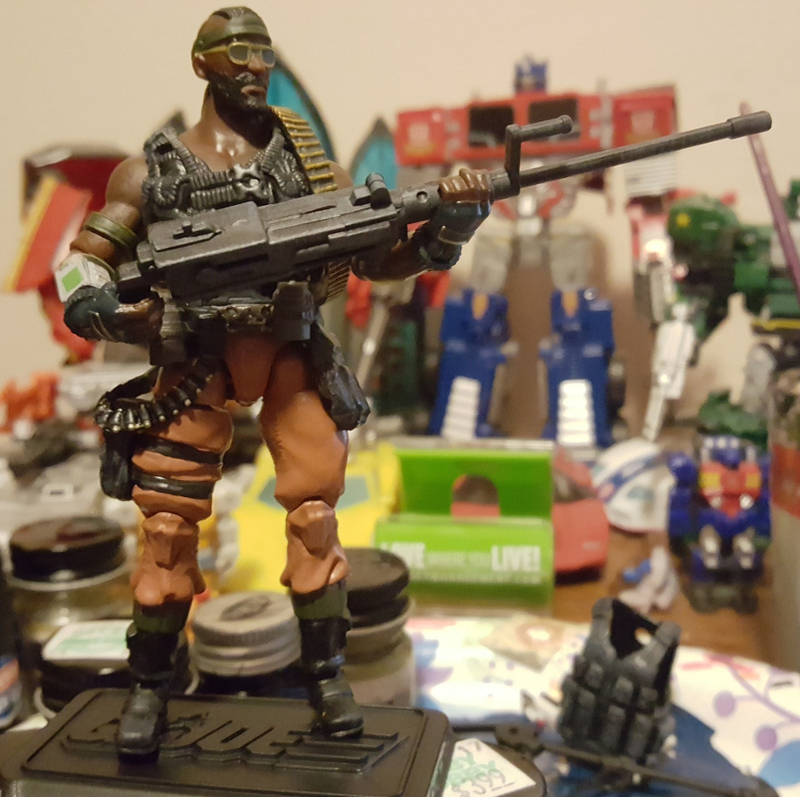 So I recently got back into painting and customizing figures, and I started working with what I had and what I could get cheaply. Right now I've just been trying to spruce up some older figures to make them look a bit more in line with my collection. Snake Eyes was made using a Steel Brigade from the 50th Anniversary I believe. 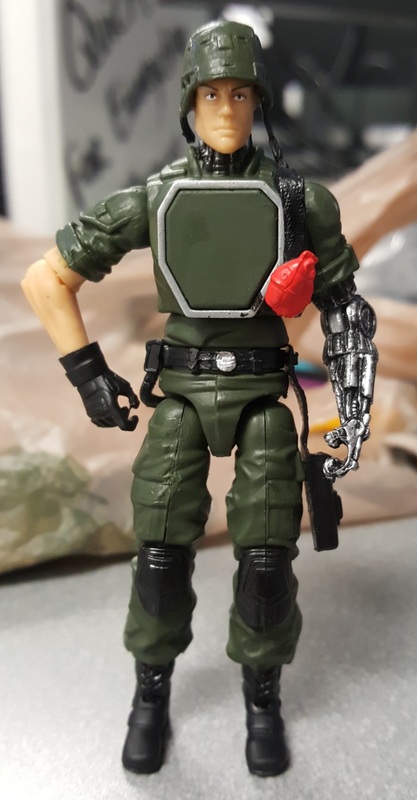 He has a few swapped accessories from 25th Stalker and POC General Hawk. 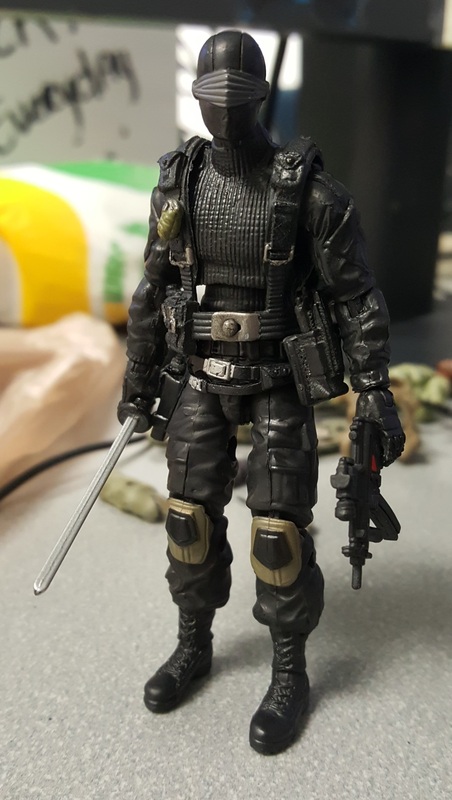 I missed my chance on one of the nicer Snake Eyes figures that came out, so I tried to replicate the look. Stalker started life as a 25th Stalker, I wanted to update his uniform and paint in some of the details on his body. I felt giving him a little more contrast on the uniform helps him stand out better. Last up is an original for now. 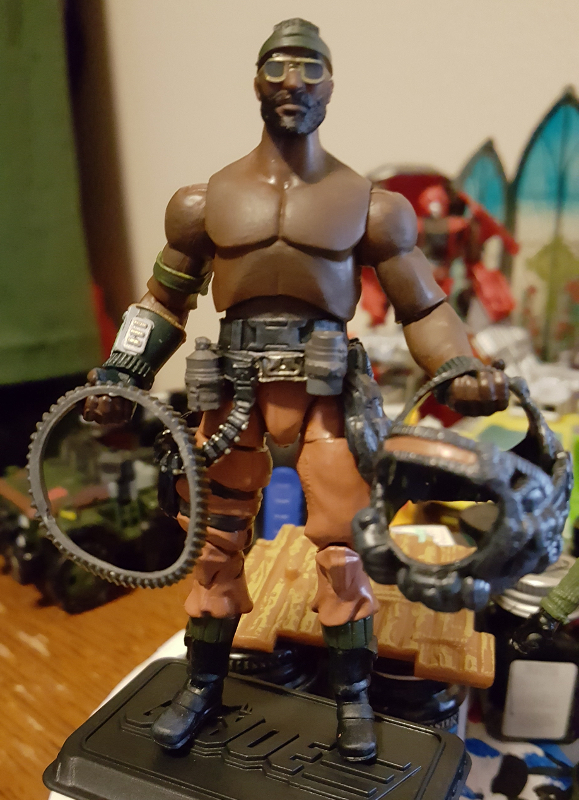 He's been dubbed Tax Dodge by a friend and he was made with an Iron Grenadier repained and then head swapped. They said he looked like a battle accountant with the brief cases. Lastly there's just a random picture of a WIP standing next to a moose. Last edited by 50percentJoe; 03-21-2019 at 05:28 AM.. 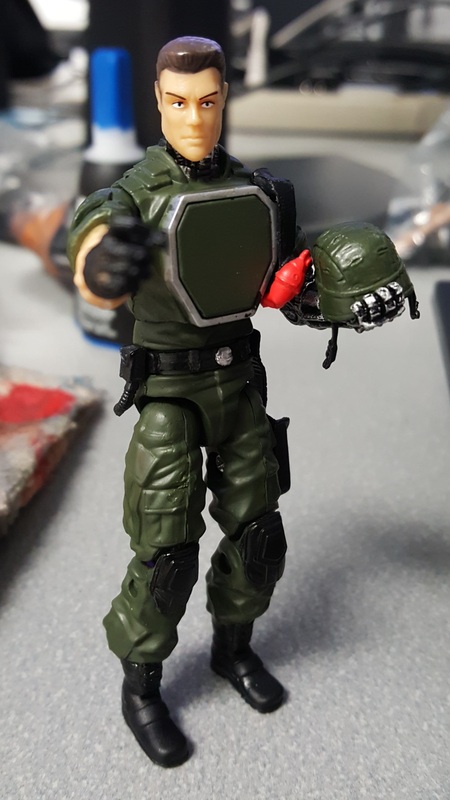 The Snake Eyes is nice, for a commando look try to get a DG head and acetone off the paint. Not too keen on the burnished knee pads though. 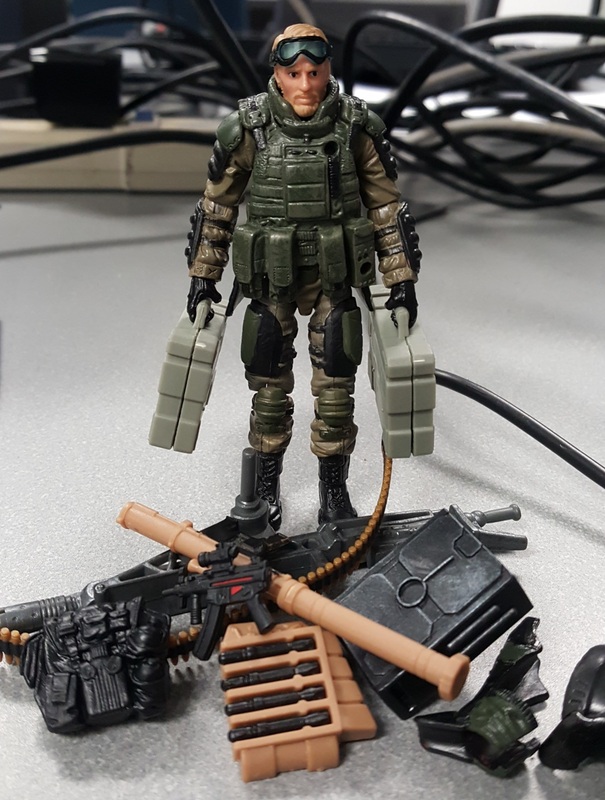 Pop that Stalker head on an $11 MTF Camo body and you a super lazy kitbash Ultimate Stalker. It really cant be topped. The Thor reminds me of Rock ‘n Roll. 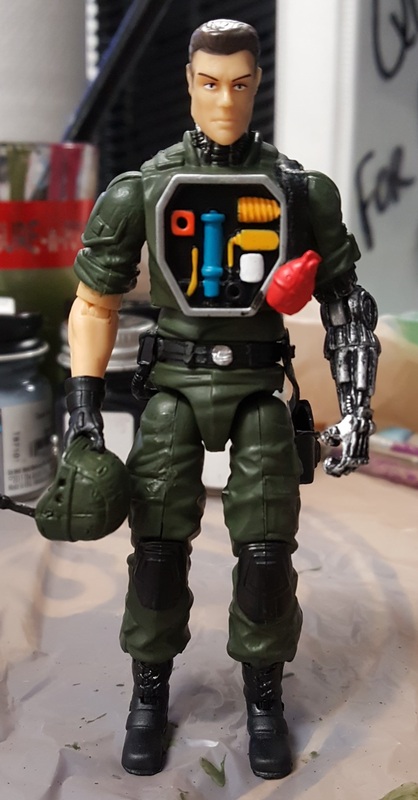 Recently finished up a very Action Man and 6 Million Dollar Man inspired character I've been jokingly calling Robo-Grunt. He's basically only capable of shouting war propaganda and telling you to buy war bonds. 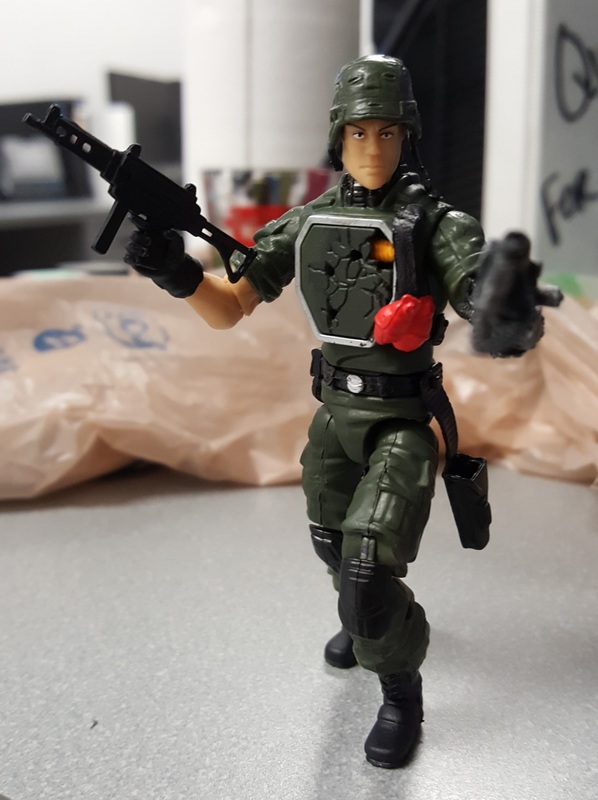 There is an official GI Joe accountant in canon: "Bottom Line"
Just finished up a Roadblock earlier today. 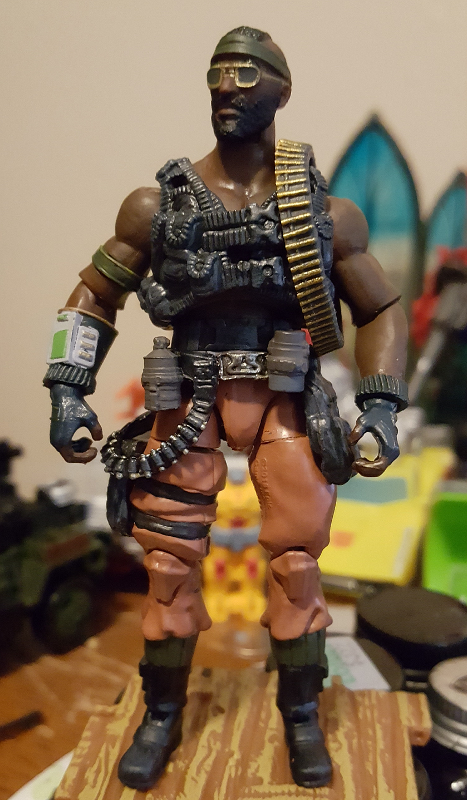 For the most part he's a Fortnite figure that I stripped the paint off of, then replaced his lower legs with that of one of the anniversary Bat's. The removable best I believe is from the Valor vs Venom line.